SDRuno is the official software for the SDRplay RSP software defined radio. Recently they’ve released version 1.1 which contains various new features and bug fixes for the RSP. The SDRuno Cookbook by NN4F & KD2KOG has also accordingly be updated with information about the new features. 1.04.1 – fixed issue where highlighted filter wasn’t always the one loaded. Does it support plugins like SDR#? But no direct sampling available to use with the RTL-SDR V3. At least not with my two EXTio-RTL file choices. 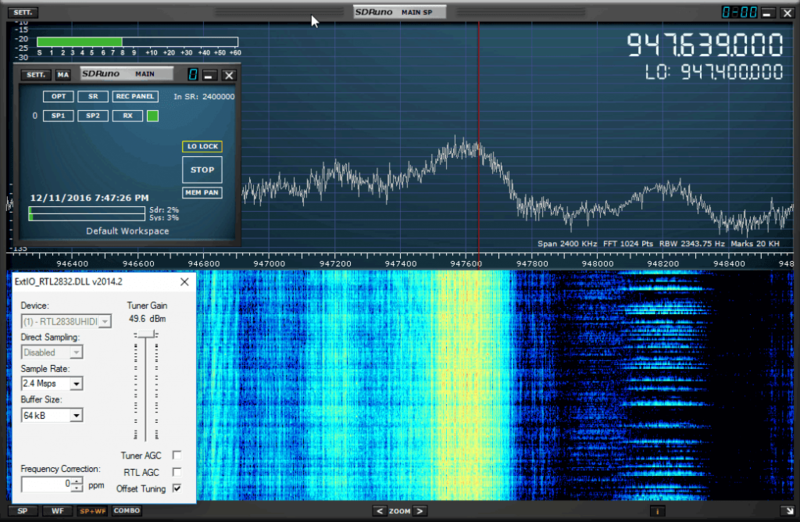 I use the one from the links on the hdsdr.de website, it works just fine here with the Q branch on the V3 dongle.. When you select the input device, click on the sample rate and then hit the up or down arrows to select 2.4 or less. On the direct sampling issue, click on the field that says disabled and click up or down arrows till q branch is selected. You’ll have to do this every time you use the v3 with sdruno. You also need to have a working extio dll.